Doc Chey’s is pleased to announce the return of the fourth annual Morningside Mile 1-mile race and block party benefitting Atlanta’s oldest fire station on Sunday, October 20, from noon to 2 p.m. Participants and non-runners alike are invited to enjoy an afternoon of festivities at the Morningside Village shopping center, home to the original Doc Chey’s. Block party activities are family-friendly and will include the annual Doc Chey’s noodle eating contests for adults and kids, music, food from local restaurants, cookie decorating with Alon’s bakery, a bouncy house, face painter, fire safety tips from Atlanta firefighters and games for kids and adults alike. Race registration is currently open and the number of participants is limited this year. Registered runners get a technical race hat, free SweetWater beer (for adults) or Yoforia frozen yogurt (for kids), and a raffle ticket for a chance to win local merchant gift cards. Families and strollers are welcome and encouraged to participate! New this year, teams of four can enter the race and the fastest team will win a $100 Doc Chey’s gift card. 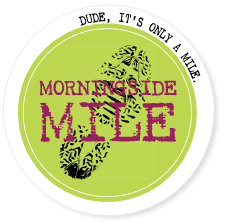 Runners can register in-store at Phidippides and Highland Runners or online at www.morningsidemile.com. Registration is $25 per person and will close on Thursday, October 17, or at 1000 runners, whichever comes first. Last year’s Morningside Mile raised $8,000 for Atlanta fire station 19 in Virginia Highland and since its inception has raised more than $21,000. 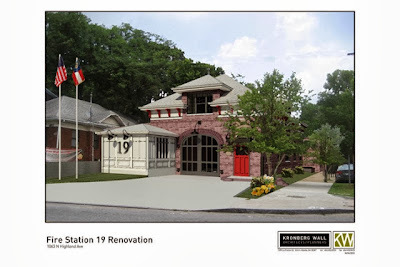 Over the years, lack of funding for proper maintenance on this 1925 historic landmark has resulted in termite damage to the staircase, holes in the ceiling and standing water in the station due to poor drainage. For more information, visit www.vhfirecompany.com. Doc Chey’s Noodle House is a neighborhood restaurant that spreads good karma by serving affordable, freshly-wok’d noodles, stir-fries and handmade dim sum inspired by the cuisines of China, Japan, Thailand, Korea and Vietnam. For more information, visit www.doccheys.com.